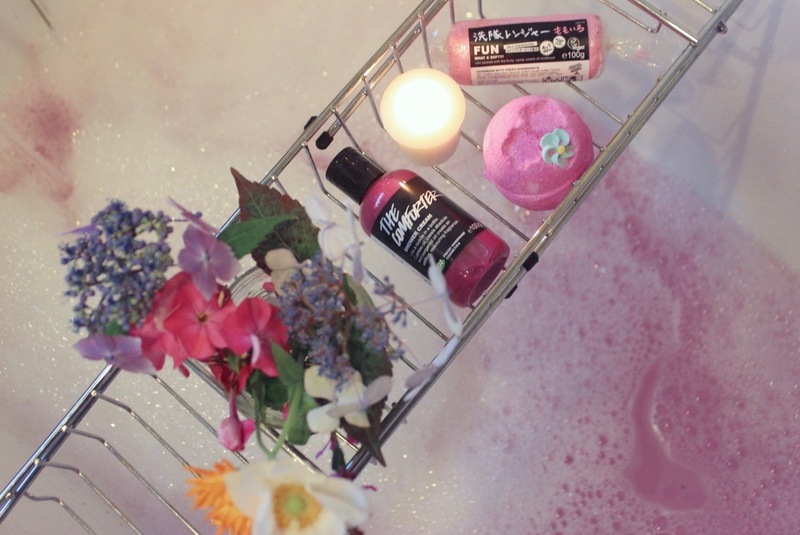 The super-sweet trio of pink products will add a bubblegum scented element to the bath and is a perfect gift idea for those that love the saccharine Lush scents. This pretty little bath bomb is so lovely and uplifting. Pop it into warm water and revel in the pink sweet tonka and comforting Fair Trade vanilla water that unfolds. A sunny note of neroli oil compliments soothing lavender to create a cheerful, yet calming soak. The blend of sweet cassis absolute, uplifting bergamot and assuring cypress essential oils create a blackcurrant aroma that's like being wrapped in a snug hug. This was far too sweet for me at first, and I still have to be in the mood for it, but when I am, it's extremely comforting. I think this smells like vanilla and sweets, which comes from tonka absolute, adding a warm caramel note. This gentle 4-in-1 product can be used as a solid shampoo, bubble bar, soap, or for play. I prefer to crumble a small piece under running water for a bubble bath. Which is your favourite gift set from Lush?